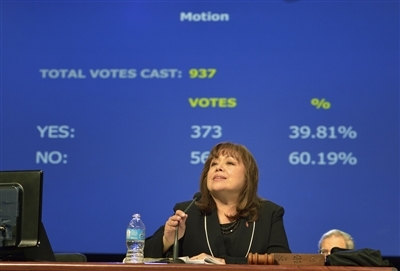 Delegates to General Conference 2012 cast ballots on major decisions for the denomination, including guaranteed clergy appointments, agency restructuring and whether to continue the stance that homosexuality is "incompatible" with Christian teaching. 2012 photo by UMNS. Previously, the General Conference secretary has set the target number of delegates. The 2012 General Conference in Tampa gave that authority to the full commission. The precise effect of the decision on the number of delegates to be elected from the Florida Conference for 2016 was not immediately available. Reist said by email Tuesday he hoped to have concrete numbers about individual annual conferences to share next week. Florida sent 22 delegates -- 11 lay and 11 clergy -- to General Conference in 2012. The conference is scheduled to elect 2016 delegates at the 2015 Annual Conference meeting in Daytona Beach. Regardless of whether the commission’s action shaves Florida’s total by two or four, it will reduce the voting power of larger conferences and potentially strengthen the influence of smaller ones in the U.S. that have the minimum two delegates and will remain unchanged, said Mickey Wilson, Florida Conference treasurer. He was a lay delegate to General Conference in 2008 and ’12 and plans to seek election again in 2015. “I think it’s unfortunate,” Wilson said of the decision. 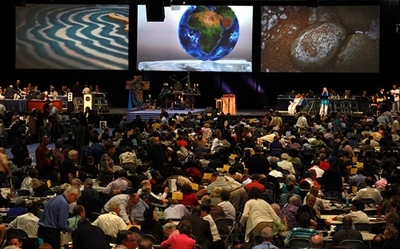 Delegates are assigned according to the size of conference membership, he said, but small conferences – many in the Western Jurisdiction -- are guaranteed at least two delegates. The net effect will be to strengthen the voting power of those conferences while the large conferences of the Southeastern Jurisdiction will lose representatives with voting privileges. Wilson said a few votes can sometimes affect major decisions. “It tends to be a more liberal representation on the West Coast than it does in the Southeast,” he said. Wilson said he applauded the effort to save money but wished the commission had instead set a maximum number of delegates to be funded by the General Church and left it up to annual conferences to pay for additional delegates that would be allotted under the previous guidelines. “Cost-cutting is appropriate, but to take those that do the work of the [General] Conference and eliminate 150 votes, while maintaining costs in other nonproductive areas, is less than well-thought out,” Graves said. 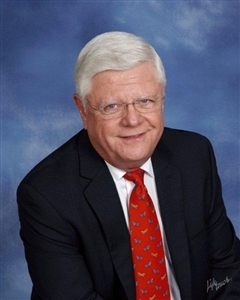 “Nevertheless, it becomes even more important that we elect effective, forward-thinking, spiritually mature delegates,” he said, adding that the Board of Lay Ministry is looking for candidates and encourages suggestions from Florida Conference members. Delegates gather for the closing session of General Conference 2012 in Tampa. Regional conferences from around the globe sent nearly 1,000 delegates to decide major issues before the church. 2012 photo from UMNS. Based on the membership numbers used for the 2012 General Conference, no U.S. jurisdiction would lose or gain more than about 1 percent of its representation at the 2016 General Conference, said commission member Stephanie Deckard Henry, a member of the New England Annual (regional) Conference. Also based on the figures for the 2012 General Conference, U.S. delegates still would comprise nearly 60 percent. *Hahn is a multimedia news reporter for United Methodist News Service. Susan Green, managing editor of Florida Conference Connection, contributed to this story. Originally posted Oct. 20, 2013, and reprinted with permission. To see the original version of this story and make comments, click here.